Caddyshack the best Golf movie of all time? 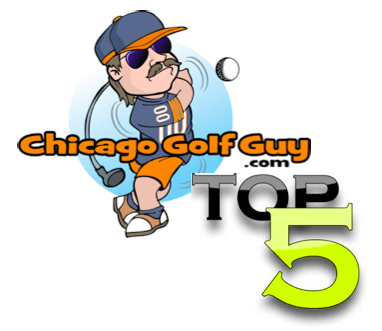 The Chicago Golf Guy January 16, 2012 February 9, 2012 Just Golf Stuff! Caddyshack is certainly the most famous, the most quoted, and arguably the funniest golf movie of all time BUT is it the greatest golf movie of all time? I would say yes. It is funny, there is some great quotes, and every golfer at some point in their life has seen it. How many times do you walk up to the first tee and yell “Hey whitey $1000 bucks says you slice it in the woods”, only to have the gentlemen on the tee yell back “Gambling is illegal at Bushwood Siiiiir, annnnd I never slice!”. My favorite Caddyshack character is Lacey Underall, I mean its obvious why a kid in middle school who watches that movie falls in love with Lacey. About 7 years ago a local brew and view was showing Caddyshack on the big screen. Not only that but the actress who played Lacey would be there beforehand signing autographs and would be watching the movie with us. Needless to say about 4 or 5 guys from our little click at the golf course went up to see the movie, and meet Lacey. She still looked good, and I still have the autograph. Here is my favorite quote and a little teaser if you have never seen the movie (as if you would read a golf blog and not have ever seen Caddyshack). Next Vote or Die with the Chicago Golf Guy!